Being the well-distinguished companies in the market, we are into manufacturing, supplying, wholesaling and trading of Fire Safety System to our customers. 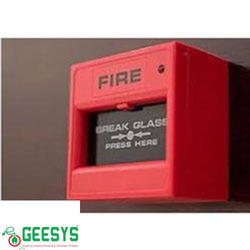 This Fire Safety System is well known for efficient working operations and fine finishing. A security is a system designed to detect intrusion – unauthorized entry – into a building or area.Security alarms are used in residential, commercial, industrial, and military properties for protection against burglary (theft) or property damage, as well as personal protection against intruders. Owing to the presence of our expert team members, we have been able to offer a wide range of Fire Suppression System. A HyBrid Fire Alarm System allows the connection of wireless fire alarm system devices just as a traditional wireless fire alarm system does. However in addition to this hardwired devices can also be connected to the panel on a loop circuit. This has several advantages. It allows the use of the more expensive wireless fire alarm system devices in specific areas where installing loop cables maybe difficult or impossible, yet in areas where hardwired cabling is possible, costs can be saved by installing cheaper hardwired devices. 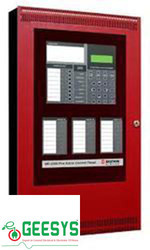 An addressable fire alarm system is made up of a series of fire detectors and devices that are connected back to a central control panel. Withaddressable systems, each device has an address or location, enabling the exact detector that was triggered to be quickly identified. In an analogue addressable system detectors are wired in a loop around the building with each detector having its own unique address. The system may contain one more loop depending upon the size of the system and design requirements. The fire Control Panel ‘communicates’ with each detector individually and receives a status report, i.e. ‘Health’, In Alarm or In Fault, etc. As each detector has an individual address the fire alarm control panel is able to display/indicate the precise location of the device in question, which obviously helps speed the location of an incident and for this reason Zoning of the system is not necessary, although it may be done for convenience. Addressable detectors are, in themselves, ;intelligent’ devices which are capable of reporting far more than just fire or fault conditions; for example, most detectors are able to single if contamination within the device (dust, etc,) reaches a pre-set level enabling maintenance to take place prior to problems being experienced. Addressable detectors are also able to provide pre-alarm warnings when smoke/heat levels reach a pre-set level, enabling investigation of the fire to take place prior to a full evacuation alarm and Fire Brigade signaling taking place. We design addressable fire detection and alarm systems as per NFPA72 and AHJ requirements, and in accordance with project and design guidelines. 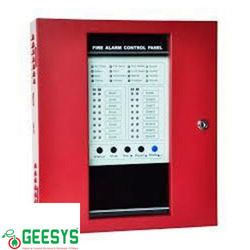 Main/re3peater fire alarm control panel, smoke/heat detectors, visual/audible strobes and manual call points are integral components of the system. 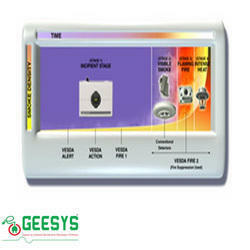 Being a quality oriented organization, we are indulged in providing Aspirating Smoke Detection System. 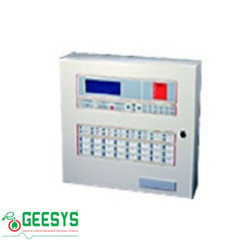 We have been counted amongst the most trusted names in this domain, engaged in offering standard quality range of Conventional Fire Alarm System.